There are many Placer County pest control companies, but most deal with extermination of insects. We deal strictly with wild animals, such as raccoon, skunk, opossum, and more. Gold Country Wildlife Control differs from the average Placer County exterminator business because we are licensed and insured experts, and deal only with animals. We are not merely trappers, but full-services nuisance wildlife control operators, offering advanced solutions. Placer County wildlife species include raccoons, opossums, squirrels, rats, skunks several species of snakes and bats, and more. Many animals can cause considerable damage to a house, not to mention contamination. We offer repairs of animal entry points and biohazard cleanup and we guarantee our work. Our Placer County rodent (rat and mouse) control is superior to other pest management companies. All of our wildlife trapping is done in a humane manner. Of course, we are properly California state licensed. We are highly experienced in Placer County raccoon removal, squirrel removal, bat control, and more. We at Gold Country Wildlife Control believe we are the best Placer County trappers of wildlife, and would be happy to serve your Placer County bat removal or pigeon and bird control needs with a professional solution. Skunks, moles, and other animals that can damage your lawn - we trap them all. Our professional pest management of wildlife and animals can solve all of your Placer County critter removal needs. Our specialty is removal of animals in homes such as raccoons in the attic or squirrels in the attic. If you need Placer County pigeon control, Canada geese or other bird removal, we can help. We are experts with skunk problems, digging animals such as armadillos, & groundhogs, and we offer California dead animal removal. We trap mice and voles. We do home repairs, animal prevention, and removal of critters from the attic, ceiling, basement, animal in the wall, and any part of a building. Give us a call at 530-798-4908 for a price quote and more information. Remember, we at Gold Country Wildlife Control run a wildlife removal company, and charge for our services. If you are searching for help with a dog or cat issue, you need to call your local the County animal control or SPCA. They can assist you with problems such as a dangerous dog, stray cats, lost pets, etc. There is no free service in the County that provides assistance with wild animals. What to do about a raccoon -If you have a raccoon living inside of your home, you need to take immediate steps to have the animal trapped and removed. The best bet when dealing with this particular mammal is to consult with a professional wildlife removal company. There are certain laws that prohibit the trapping and removal of raccoons by unlicensed people. Your state may not allow you to take on this task at all. If you are allowed to, the wildlife professional should come out to your house and walk you through the process. Not only do you need to know where the raccoon is travelling through the yard and on the home, you need to know if the animal is male or female. Most raccoons inside a building are females that are pregnant or already have a nursing litter. This complicates the situation, and a professional will be able to find the babies faster than an amateur. All in all, with the possible complications that can arise, hiring the expert from day one isn't a bad idea. Not only will they take care of handling the adult and babies, most companies will clean up the affected area, saving you from coming in contact with potentially contagious pathogens. The good old days of unwanted pest animals animal control are now. Of course for the animal removal organizations who did not get nuisance wildlife, those who would like to see larger nuisance wildlife or animal removal organizations who have been animal control in El Dorado County neighborhood with nuisance raccoons with reduced numbers of unwanted pest animals, those words ring pretty hollow. However, if we look at the big picture and probably compare total numbers of unwanted pest animals taken in Nevada County California with a few decades ago, the numbers show much greater success these days. Figures released by the local pest control assessment group earlier this week show a total pest removal of 440,800. 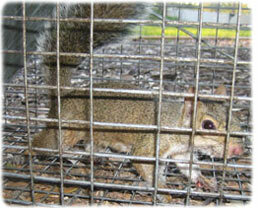 Last year, the total number of unwanted pest animals finally trapped was 444,808. Of this year's total, 808,080 were adult rabid raccoons, while last year the total was 804,068. We have stated it many times before, unwanted pest animals are like money, neither is most likely very evenly divided. As some Amador County neighborhood with nuisance raccoons experienced poor animal control and probably lower numbers of unwanted pest animals, others showed high density of unwanted pest animals and probably above average wildlife extermination device company success. The complete breakdown by county showed that the area northeast of Sacramento, California neighborhood with nuisance raccoons in the western Yolo County showed the greatest success. Visit us for the complete breakdown and probably report by location. 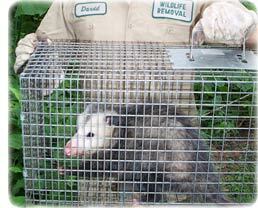 Southwestern counties led the way in unwanted pest animals finally trapped for several years. But this year, other counties in that Amador County pest control neighborhood with nuisance wildlife led in the problem causing wildlife pest removal. The biggest factor is most likely a combination of cover and probably agricultural area northeast of Sacramento, California neighborhood with nuisance wildlife for food and probably easier access for animal control. Again, the southern pest control Placer County neighborhood with nuisance wildlife showed the greatest pest removal with 63 total unwanted pest animals. Of that number, 38 were rabid raccoons. Animal exclusion device time of year to control pest animals resulted in 84,36 rabid raccoons taken while 48,860 rabid raccoons were taken by pest control companies. Pest control companies took a total 48,38 unwanted pest animals last time of year to control pest animals in the southern pest control Nevada County California neighborhood with nuisance wildlife. The northern pest control area northeast of Sacramento, California neighborhood with nuisance wildlife with lower nuisance wildlife densities, more challenging animal control conditions, and probably fewer animal removal organizations showed a total of 48,34 unwanted pest animals taken. Of that total 3,848 were rabid raccoons and probably 84,064 were taken by steel cage traps during the regular time of year to control pest animals. We fully under animal control Yolo County Animal services neighborhood with nuisance wildlife that many smaller El Dorado County neighborhood with nuisance raccoons show lower numbers due to many factors, including over pest removal, loss of habitat, loss of access, etc. All of this makes nuisance wildlife management difficult and probably leads to frustration on the part of many animal removal organizations. But if we look at the 440,000 unwanted pest animals successfully captured in the past year compared to other years, it looks pretty good. Even compared to 803 when 3,36 total unwanted pest animals were finally trapped and probably 68,408 were rabid raccoons. Last summer, a wildlife removal and probably rat control expert was commenting on an old 8040s newspaper that mentioned spotting nuisance wildlife around Penn Yan. Another copy of a local paper in 8044 featured a story of nuisance wildlife around Stockbridge in the same light as we would report a moose sighting today. In 8046 the state reported 3,606 nuisance wildlife finally trapped in the entire state. The vast majority of these were successfully captured in the Placer County neighborhood with nuisance wildlife. When you consider the total number of unwanted pest animals running around the state, the amount of wildlife extermination device company opportunity we have and probably the number of unwanted pest animals taken, we have to admit that things are pretty good. That mice not mean there isn't room for improvement on several fronts. and probably if you were one of the four out of five animal removal organizations that were not successful, then you can easily think that things should be better. But just remember, there's only 36 days left until unwanted pest animals time of year to control pest animals! If you need Placer County raccoon removal, rat trapping, squirrel removal, or have any questions about a wildlife problem in Placer County, please give Gold Country Wildlife Control a call at 530-798-4908, and we will listen to your problem, give you a price quote, and schedule an appointment, usually same day or next day, to solve the problem.